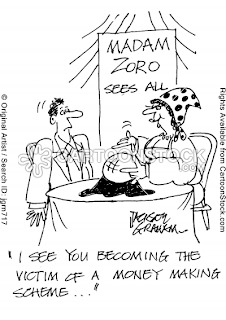 “If you want to know what God thinks of money, just look at the people he gave it to” said American writer Dorothy Parker. But if you really want to know what God thinks of money, then study how it got created and you will know that God hates it. 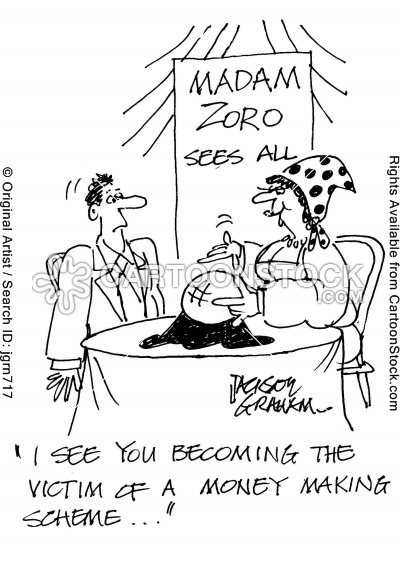 The origin of money, paper money to be specific, has caused manmade disasters far greater than natural ones. 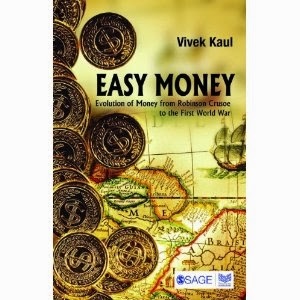 Vivek Kaul in his new book “Easy Money: Evolution of Money from Robinson Crusoe to the First World War” explains how easy money changed the course of human evolution. I just completed reading the book and it has left me startled about currency economics. I am writing to share my thoughts on the book and money economics in general. Human beings are social animals. After food, clothing and shelter comes the need to trade because man is an interdependent creature. It is not the case with other animals. A cow can fulfil all its needs by itself and doesn’t have to depend on another cow for something it needs or it might need in the future. Humans initially traded goods with goods (barter system). The system had sound economics to back it up, but it was not efficient for complex transactions. This led to the invention of paper money. In the book Vivek Kaul explains how Marco Polo took the idea of paper money from his voyages in Mongolia and China to Italy his homeland. The Chinese invented paper, ink and also the art of printing. Naturally paper money was first developed there. The thought that paper can be used as money must have occurred first to a very intelligent man, but it is not known who that genius was. Imagine I and you are trading with curriencies like rice and maize. I sell 3 goats for a bag of rice, 10 eggs for ½ a bag of maize. The whole society around me is built on that and suddenly 1 day I wake up to find that you give a piece of paper to buy 10 eggs from me. It must have been revolutionary idea at that point in time. After the Chinese invented paper money, the idea has travelled far and wide and has now engulfed every aspect of human existence. It isn't wise to study human history without studying the history of money, for everything that history stands testimony to, money is the reason for it. The story of Jack Law, narrated by Kaul catches my imagination the most- how one man’s fantasy destroyed France the most powerful nation on earth, in early 18th century. Jack Law was jailed for murdering a man 'for the affections of a certain Elizabeth Villiers'. (Imagine Shahrukh Khan of Darr in the early 1690s) Law escapes prison and publishes a text titled “Money and trade considered, with a proposal of supplying the nation with money” in the year 1705. He was of the opinion that more money means more progress and more prosperity. That might be true, but what he did not think about is the source of such money. Printing money on paper had caught everybody’s fancy in Europe in those days. France had lagged behind in that endeavour. Jack Law wanted to test his hypothesis that more printed money means more prosperity. Sadly, an economic theory cannot be tested in a laboratory, which is why most economists end up committing their mistakes on humanity. The King of France during early 18th century was Charles V, who was a minor. So France was ruled by a regent. Law managed to convince the regent that he would be able to clear all the debts of France, which was a whooping 300 million Livres by setting up a bank and printing paper money. The regent gave him the land of Mississippi , now in USA to start his operations. Law set up Banque de Royal and issued shares of his bank in 1719. The genius also told the public that he would give loans to buy shares of his own bank. Foolishness has been contagious for humankind at all times. The public went hysteric and soon the shares of Banque de Royal jumped up from 500 Livres to 20,000 Livres per share. Among the people who made a lot of money were chimney cleaners, waiters and a variety of other lucky people. John Law’s coachman also made a lot of money in the process. The term 'millionaire' first came to be used then. One morning, the coachman showed up and resigned from work. He told Law that there were 2 replacements for him. Such was the frenzy that the uncontrolled printing of money created. Law became a national hero in France and the royalty gave him special status. As long as the money is coming, it doesn’t matter where it is coming from, thought the regent. Were worth millions on Tuesday, I thought. Perhaps, it is wisely said- “You can fool all the people some of the time, and some of the people all the time, but you cannot fool all the people all the time”. The life of Jack Law carries a lesson for present day economists and financiers but they aren't willing to learn it. In the book, Kaul explains in detail how United States of America went into economic crisis roughly every 3o years in the latter half of 19th century and early 20th century. Crisis due to excessive money printing was handled by even more excessive money printing. How mistakes with money ruined the Roman empire, destroyed the British Pound as the major currency with which the world traded, making way for the hegemony of US Dollar are all explained brilliantly by Kaul. Bigger the size, mightier the fall! In the world of today, economic power is vested with a handful of people who sit in ivory towers and think they are supreme beings. In a way, they are. They decide which way the world moves when it wakes up tomorrow morning. But are they sane and capable enough to decide the right direction is the question? After all, we now know the story of Jack Law. Easy Money is an essential read; if you are intrigued with these questions.